529 plans are a type of tax-advantaged investment account that are widely considered one of the best ways to save for college. These plans offer compelling federal and state tax benefits and potential for growth over time, provided the money is used for qualified education expenses. However not all 529 plans are created equal, and even though every state offers their own 529 plans, choosing your state’s offering may not always be your best bet. What many investors may not know though, is that you can choose any other state’s plan or opt to go through an advisor instead. But faced with dozens of choices and complicated tax and fee structures, it’s not always easy to choose a plan. To help guide your decision, here are eight of the key factors to look at when choosing a 529 plan. 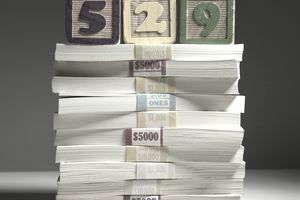 When we refer to 529 plans, there are actually two different versions: 529 savings plans and 529 prepaid tuition plans. The fact that both are called 529 can cause some confusion for parents weighing their options. In this article, we are focusing on 529 savings plans, but it’s worth being aware of 529 prepaid tuition plans, even though these are declining in popularity. Prepaid tuition plans allow you to lock in the current costs of college tuition at in-state, public colleges, and universities. Given the ever-rising price of tuition, this may be an appealing option, but there are some drawbacks. The first being that if there’s a chance your child will attend an out-of-state or private university, you will likely not see the full value of your plan funds. Another drawback is that prepaid plans only apply to tuition and fees, not other expenses like books, room and board, or technology equipment. They also may lack the growth potential and value of savings plans. College savings investment plans, on the other hand, are rapidly growing in popularity for their flexibility—plan funds can be used on a wide range of qualified educational expenses and funds aren’t limited to your home state, and they offer tax advantages and growth potential prepaid plans often can’t match. One big misconception many parents have is that they have to enroll in their state’s 529 plan. According to one study, 80 percent of 529 investors opted for the plan in their home state. While some states offer tax breaks and other advantages, not all do, and many have high fees that may cancel out any benefits. You’re not limited to your state’s 529 plan—most states offer a few different options, and you’re free to enroll in another state’s plan or opt for an advisor-sold plan. While some states offer tax deductions on contributions made to any 529 plan, others only grant a credit or deduction for contributions made to their own 529 plans. You’ll want to investigate your state’s specific rules to see if there’s any special tax treatment for in-state 529 plans and whether the advantages outweigh any drawbacks, like high fees or lackluster fund performance. If you want to maximize your investment returns, it’s important to compare the costs of the plans you’re considering. There are a number of different fees that plans may be subject to, which could potentially exceed any tax savings. Account maintenance fees: Some plans charge these fees if the account has a balance below a certain threshold, or if the investor lives out of state. However, plenty of plans don’t charge this fee. Enrollment or application fees: Many plans don’t charge these, though some do. Management fees: Some plans charge varying flat or percentage-based fees for actively managed accounts or based on investments in certain index funds. Annual account fees: Some plans charge a flat fee, others charge based on account balance. Certain states offer fee waivers or lower fees for residents, or no account fee at all. Fund-based fees: Depending on the portfolio in which the 529 plan invests (Vanguard or Advantage, for example) there may be a percentage-based fee. Often these fees can vary widely from state to state or even between investment options in the same plan. For example, the lowest cost investment option in Delaware's College Investment Plan was $135 annually in 2017, while the highest was $1,459. Fees may be higher or lower when certain provisions are met, such as investing in-state, turning on auto-contributions, maintaining a high balance account, or opting for electronic document delivery. While some 529 plans offer easy-to-use, modern websites, others are lacking in functionality or require extensive paperwork to perform tasks. As part of your research, visit the websites associated with the plans you’re considering. How easy is it to navigate the site, find information, enroll, set up ongoing or one-time contributions, start a rollover, and perform other basic functions? 529 plans allow anyone to contribute, but it’s not always easy to do so. If grandparents or other friends and relatives would like to help you save, it’s worth checking whether this is easy to do. Many plans still require sharing account numbers, mailing checks, and filling out paperwork. These days 529 plans available through tools like CollegeBacker and Upromise emphasize usability for both the investor and family and friends who’d like to help. If it’s difficult or confusing to find your way around, make contributions to your plan, or get friends and family members involved, you might be better off with a plan that offers a more straightforward experience. When selecting a 529 plan, you have the option of going through a broker or choosing a plan and investing directly yourself. There are benefits and drawbacks to both options. Generally, if you’re looking for the lowest-cost option, a direct plan is your best bet. Advisor-sold 529 plans typically have higher annual costs, including commissions on your contributions. However, if you’d prefer not to put in the time and effort to research plans and learn your state’s rules, or if you’d like a professional to manage your investments, then an advisor-sold plan might be for you. Some state 529 plans provide special financial aid provisions if certain requirements are met, like attending school in that state and investing for a given period of time. For example, New Jersey offers a special scholarship of between $500 and $1,500 for those investing for at least four years in an NJBEST 529 plan and attending a New Jersey college. If your state does offer financial aid incentives for choosing an in-state plan, you’ll still want to weigh whether the fees and tax incentives make it worthwhile. Your risk tolerance, budget, child’s age, how much you want to invest, number of children you have, and overall investment strategy can all play a role in which plan you choose. You might want an actively or passively managed account, or want to take a more hands-on DIY approach. Or you might want the lowest possible risk or highest potential growth. Some plans have very low minimum contributions to get started, while others might require a high initial investment. Likewise, different states cap your maximum contribution, so if you anticipate your child attending graduate school, or plan to change the beneficiary of the plan and use leftover funds for another child, you might take this into account. A few states even match contributions for low-income residents. Likewise, your child’s age plays a factor—if they’re closer to college, you may opt for a different plan if your child is close to college age than if you plan to invest over 16-18 years. Plans that offer age-based asset allocation are a popular choice, as they adjust your mix of stocks and bonds based on when your child will begin college, but not all state plans offer this strategy. These are just a few of the different factors you might consider as you compare plans. If your head is spinning with all these factors to consider, not to worry. The IRS allows one tax-free rollover of a 529 account every year, so you’re not married to the plan you choose. If you’re researching your options, check out Morningstar’s annual list of the best 529 plans, or the many comparison charts, calculators, and resources at CollegeBacker.com. Remember that no matter which plan you pick, you’re most likely better off saving in a 529 than in a taxable account. The important one is to pick one (as early as you can) and start saving consistently.